Cricket is not only a Game it’s become a Religion in many Country like India. This game is Become so popular in the world. The Short Formats of the Game Like T20 attracts the people towards the cricket. Now days T10 cricket also come which is successfully running. when a Sports Become so popular than Players also become so popular and earning of the cricketers is Very Healthy and Lifestyle of the cricketers is amazing. Shane Watson Net worth is 35$ Million. in Indian Rupees 2,45,05,25,000.00(1$=70.02 RS). In Words Two Arab Forty Five Crore Five Lakh Twenty Five Thousand. Shane Watson is Australian All Rounder Player (2002-2016). He Has been Retired in 2016 from all the Three International Formats. Now, He plays only in Leagues IPL, BBL etc. Shane Watson Nick Name is “Watto” and His Full Name is Shane Robert Watson.He is Born on 17 June 1981 in Ipswich, Queensland, Australia. Watson is married to broadcaster Lee Furlong. They have two children. Watson is very fond of cars and he has a stunning, beautiful house worth $9.7 million (679145500.00 INR) means Sixty Seven crore Ninety One Lakh Forty Five Thousand Five Hundred. Watson Cars Collection is Volvo xc 60, Audi Q5, Mercedes Benz, Audi R8, Bentlay Continental. Yuvraj singh Yearly Net Worth is $40 million in indian rupees it almost becomes 2,80,00,00,000(1$=70.00 rs.) in words Two Arab Eighty Crores. Yuvraj singh is Indian cricketer He is Left arm Spin all Rounder. He is Left Hand Batsman. Yuvi owns many Records. He is the only batsman who Hit Six Sixes in 1 over in T20I cricket in 2007 ICC T20I world against England Fast Bowler Stuart Broad and also became the first Player to take a 5 Wicket haul and Score a 50 in the World Cup of 2011. 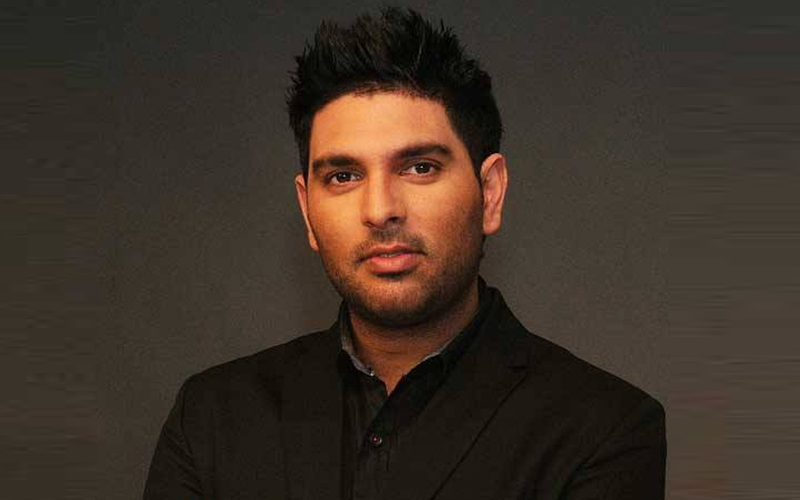 Yuvraj Singh was born on December 12, 1981 in Chandigarh, India. He is the Son of the Former Indian Fast Bowler and Punjabi Actor Yograj Singh and Shabnam Singh. His wife’s name is Hazel Keech who is also an actor. He is Having Luxury Lifestyle Where he is having luxury car name Lamborghini Murcielago (cost=3.7 Cr) , Bentley Continental Gt V8 (cost=3.2cr), Audi Q5 (90 lakh), Porsche 911 (1.42 cr), BMW M3 Convertible (76 lakh). and His Bikes Collections Of Few Of Them are Yamha R1 (25 lakh), Duke 390 (2 lakh). Virender Sehwag is the 3rd Richest Player whose Net Worth is $35 Million in INR it becomes almost 2450000000(1$-70rs) in words Two Arab Forty Five Crores. Sehwag was the Indian Right Hand Opening Batsman From 1999 to 2013. He is also a Slow right arm spin as part time Bowler. Virender Sehwag was born on October 20, 1978 in Haryana, India. He is famous of his nickname “Viru”, “Nawab of Najafgarh”, “Multan ka Sultan”. Sehwag is very amazing, charming and aggressive player who plays with very high strike rate. and He is also Own many Records Few are He is Highest individual High Scorer From India in test Match. He is also Hit Double century in ODI cricket. However, he is not playing in the team, but still earning a good amount of yearly $5 million(350000000 in INR, 35 Cr). His income is not based only upon his profession but also on his endorsement assignments. He owns a Continental GT car model. Ms Dhoni Net worth is $70 Million in INR it becomes almost 4900000000(1$-70rs) in Words Four Arab Ninety crores. MS Dhoni is a Former captain of Indian Team. Now, He is playing only in ODI and T20I. He is like “God Father” Of the current Indian Team. MS Dhoni was Born on 7th July 1981 in Ranchi, Bihar( now Jharkhand), India. He is Right Hand Wicket Keeper Batsman. Dhoni Nick Names are Mahi, Captain Cool, Thala, MSD. MS Dhoni Came to an Indian ODI team in 2004 playing till now. He Has been Retired From Test Cricket. His Last Test Match against Australia. MS Dhoni is the Only Captain In History Who has all ICC Trophies. He won The 2007 ICC T20 world Cup, and 2011 ICC World Cup, and 2013 ICC Champion Trophy. MS Dhoni is not only Earning From Cricket he is a Investor and Business Man. He is Co-owner of Ranchi Rays and Co-owner of Chennaiyin FC. In February 2016, Dhoni launched lifestyle brand SEVEN Dhoni owns the footwear side of the brand and is also the brand ambassador of SEVEN. MS Dhoni Is very Fond Of Bikes and cars. His Luxury Car Collections are Porshe 911, Ferrari 599, Hummer H2, Audi Q7 and also Has many Luxuries Bikes. Virat Kohli Net Worth is $92 Million in INR it Becomes almost 6440000000(1$-70rs) in words Six Arab Forty Four Crore. Virat Kohli is not Just a Name It Becomes a Brand. Virat Kohli is Curren Indian Captain of Indian Team. He is World No. 1 Batsman in Today Modern Day Cricket. He was born on November 5, 1988, in Delhi, India. His Hard Work Give Him a Beautiful Lifestyle. Kohli is Become Mega Icon of Many Cricketers. — India’s coach at the 2008 Under-19 World Cup Dav Whatmore on Kohli. — Former New Zealand captain Martin Crowe on Kohli. Virat Kohli also a Investor He is In 2014, became a co-owner of ISL(indian super league) club Fc Goa. and also a Co- owner of International Tennis Premier League Franchise UAE Royals. This article is based on Different websites Searches.